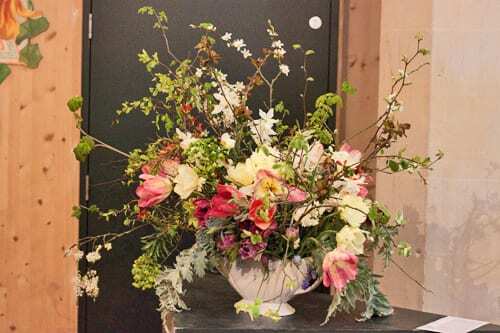 Last Friday evening, I attended a private view of Floralia, a floristry competition at the Garden Museum in London. 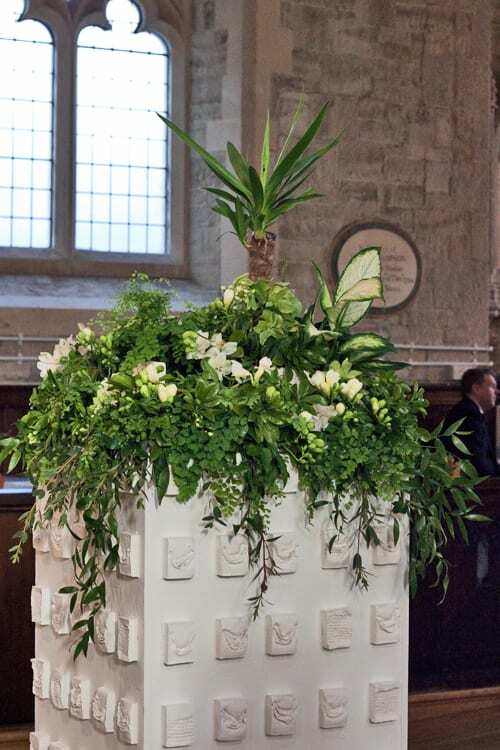 Entrants were challenged to push the boundaries of floristry by creating a floral arrangement that explored the link between floristry and fine art. I have created a sculpture that looks at and exposes beauty and decay. 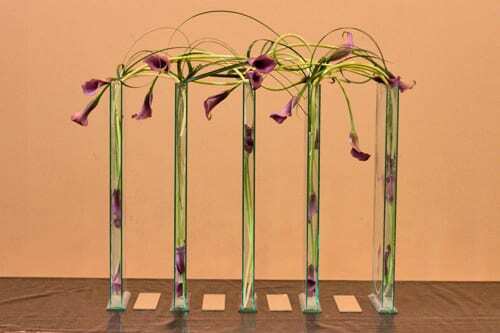 A hanging cylinder of callas and typha, suspended by copper wire between two rings. The flowers are used as structural elements and the figure will destroy itself when the flowers wither and dissolve. 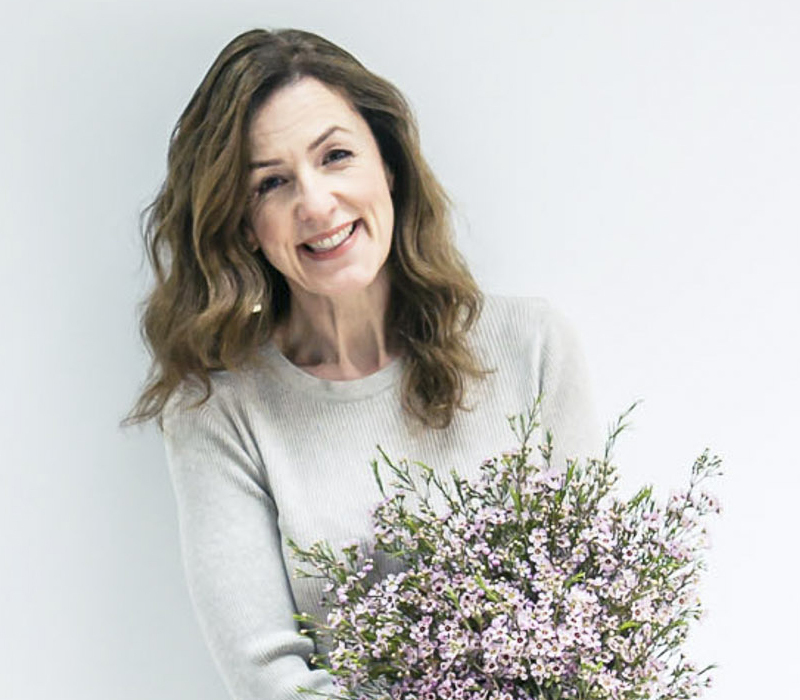 The question is, where is the boundary between fine art and floristry? How much can one evolve a piece whilst retaining the characteristics of both disciplines? 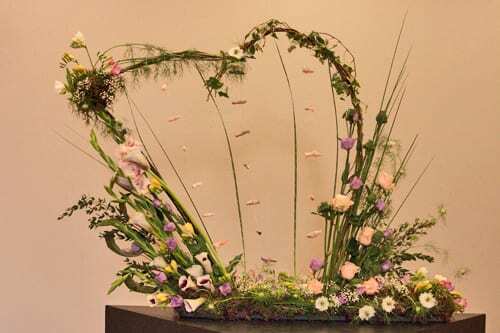 Floristry creates with flowers. 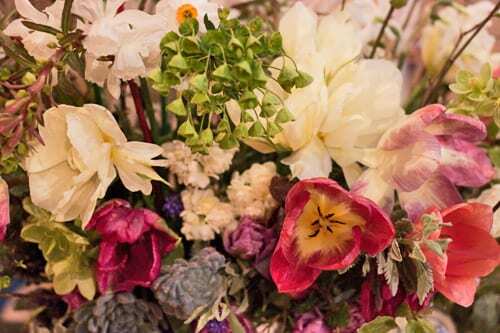 To the florist, flowers are their paint, brush and canvas. 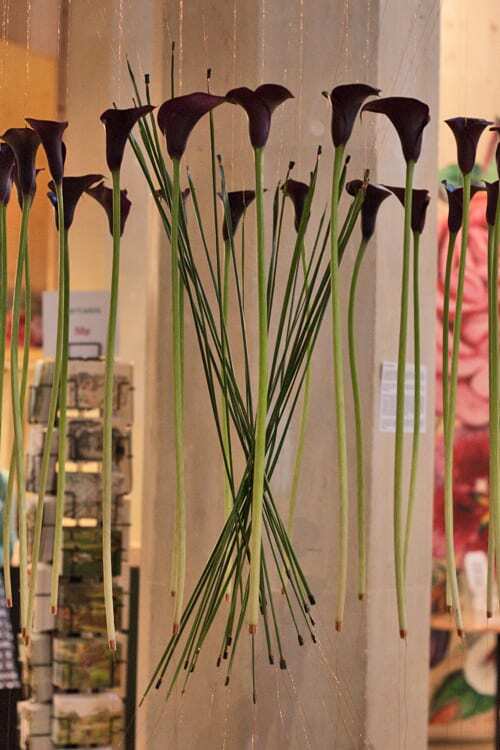 It is through composition and selection of the right flower that bouquets and arrangements become masterpieces. However wonderful the final product may be, one of the most integral parts of the piece is frequently overlooked: perishability. 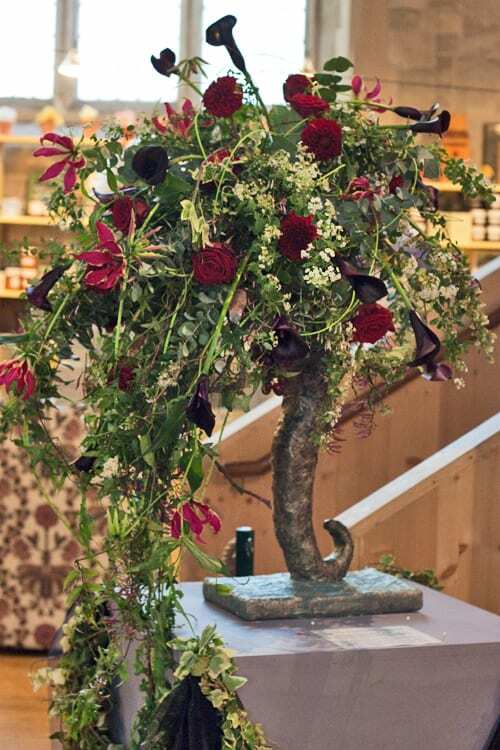 A floral piece is never constant but continually, naturally altering and will eventually die. The awareness that life is finite forms the basis from which pleasure can develop. It teaches us to appreciate every moment because they will not last forever. On the contrary, fine art doesn’t decay as such. Almost anything in any combination, short and long lived can be regarded as art. Most important is a piece’s ability to inspire an audience to reflect on and question their own existence. The runner-up was Colin Priest‘s design below. 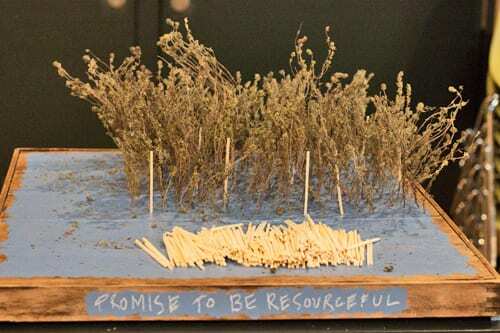 Capturing the hidden meaning of the humble thyme (Thymus vulgaris) comes a participatory flower arrangement, inviting visitors to the Garden Museum to take a thin dried branch from its reclaimed oak ‘cribbage’ plinth and in return leave a matchstick promise to be resourceful. Developing upon a relational artistic practice where works simultaneously act as a fundamental construction and social intervention, a conceptional space of action and response to our environment is revealed. 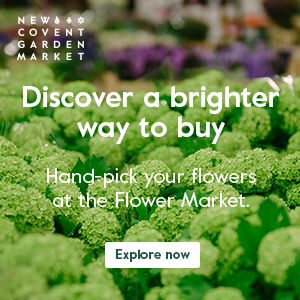 With many hands, ‘Thrift Cultivar’ becomes an artwork, engaging the public in various forms of conversation, presenting a duality between man and nature. The ambition would be for the plinth to become an artefact as people enjoy the encounter, crumbled leaves, flowers scattered and exchange, offering an opportunity for the arrangement to live beyond its temporal existence. Here are Jana and Colin with the judges and the museum director. 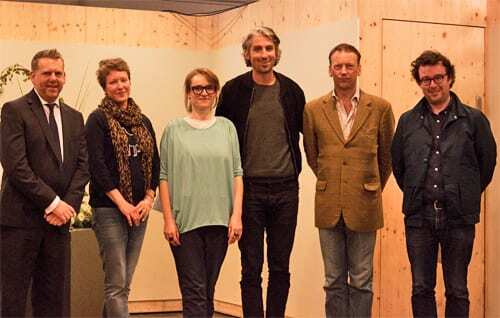 Left to right : Christopher Wood (Waitrose Floral Designer), Nikki Tibbles (Founder of Wild at Heart), Jana Friedrich, George Lamb (Radio and TV presenter), Christopher Woodward (Garden Museum Director) and Colin Priest. Personally, my favourite design was Tamara’s above. I love its natural feel and the wonderful combination of different colours and textures. Celebrating the natural and wild beauty in the landscape in which we live. My flowers from the Wild Bunch cut flower garden are rich in their diversity of colour, form and texture. Inspired by the work of Ben Nicholson, and the strong sense of time expressed through his exploration of the play between surface texture, and the build-up of layers of line, form and colour. My floral design is a collection of layers of texture, line and colour, reflecting the landscape around our farm in spring. 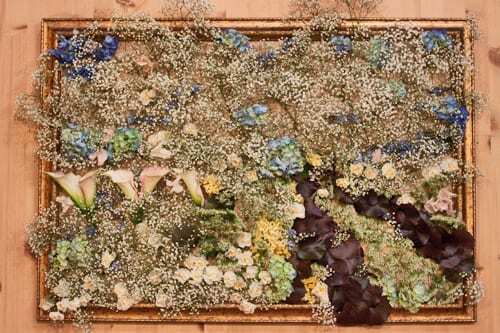 The structure of my arrangement, as in nature, is conceived to draw the flowers in and out of focus. Layered and hidden behind one another…fragments of petal and leaf, popping out here, sticking up there. 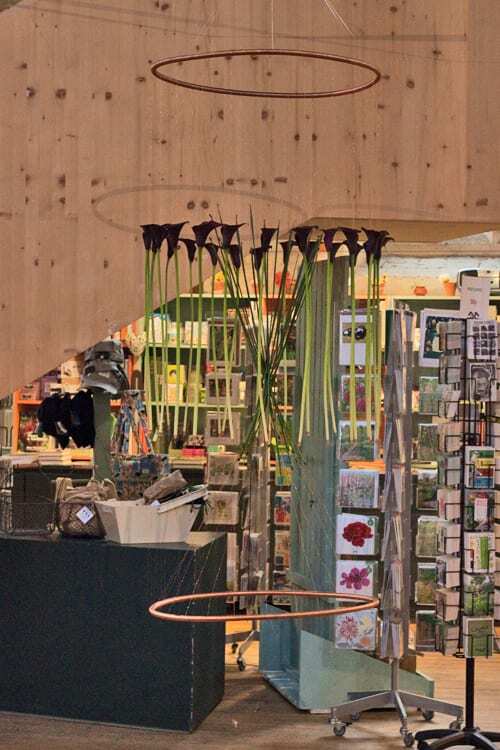 Thin vertical and arching lines of blossom, twigs and tendrils help set up the structure and pattern, giving a rhythm within the shapes and textures of the flowers and foliage. From tight and blossoming buds through to open, upright and drooping flowers till petals fall, my work embraces the passing of time.